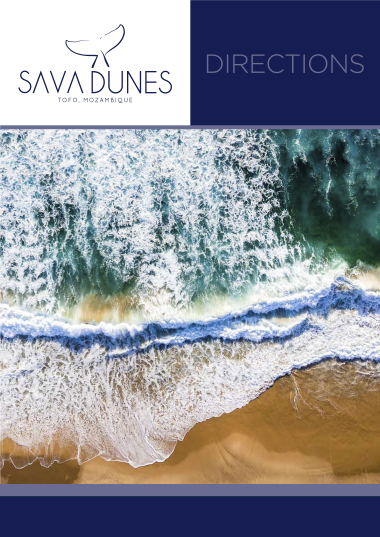 From surfing, to diving, deep sea fishing, whale shark spotting, snorkelling with seahorses and sundowners; Sava offers plenty to do in the area. 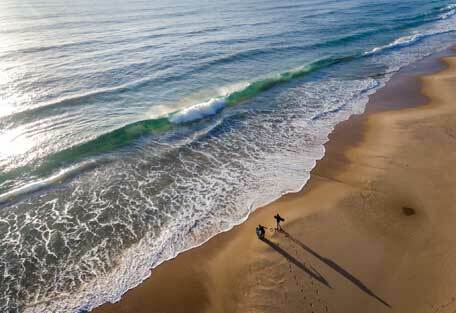 There are plenty of beach and sea based activities in the immediate area. 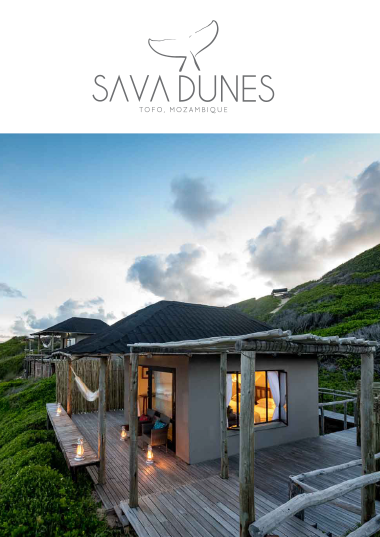 Sava Dunes provides the ideal spot to explore your surrounds, and day tours/activities can be arranged upon arrival at the lodge. 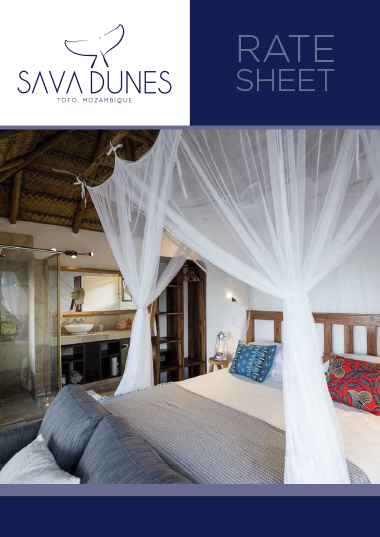 Sava Dunes works closely with local operators to deliver a wealth of activity options to guests. Guests have the option of enjoying a jam-packed, activity based holiday or they can simply choose to relax at the lodge. From the comfort of the lodge it's entirely possible to spot dolphins and humpback whales breaching during season. 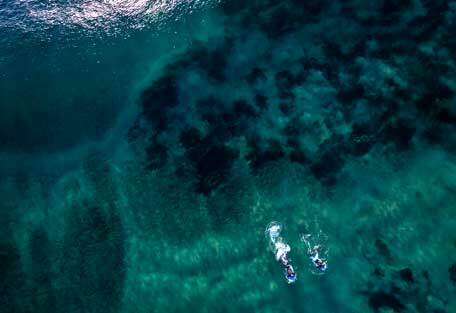 The neighbouring estuary provides the perfect conditions for snorkelling. Species to spot include : seahorses, star fish, puffer fish and sea cucumbers. The beach in front of the lodge has a small wave ideal for bodyboarding. For more intense ocean and beach activities, guests can enjoy big game fishing, ocean safaris in boats, diving, kayaking and even horse riding. There is no set daily schedule. Sava is a beach retreat and all activities are optional. Below are a few examples of the activities that can be organised from the lodge. Big game fishing: There are ample opportunities to catch barracuda, yellow-fin tuna and other species of fish. 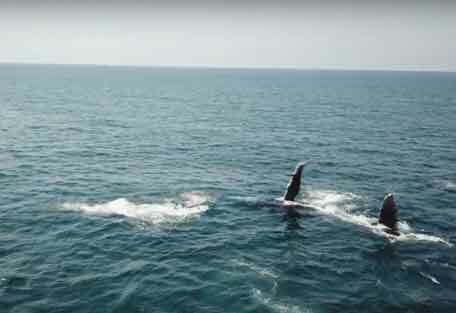 Ocean safaris: This is a two hour ocean safari that speeds through the turquoise waters in search of whale sharks, manta rays, dolphins, turtles and humpback whales. 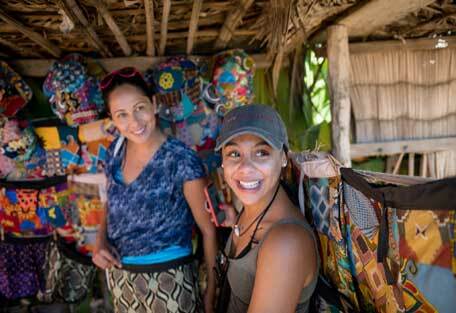 Diving/Snorkelling : The Barra / Tofo region is fast becoming one of the most popular destinations for diving because of the sheer diversity of marine life and abundant concentrations of manta rays and whale sharks. 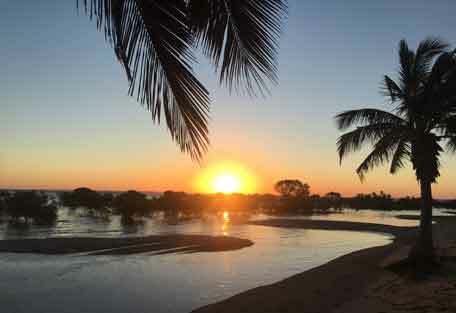 If diving is not your activity of choice, then we recommend a gentle snorkel in the neighbouring estuary. Mangrove kayak: Drift through the tranquil waters of the biodiverse mangrove swamp. Surfing Trips: There is small wave in front of the lodge (wind dependent) that offers a great wave for bodyboarding. The best surf is around the other side of Tofo. 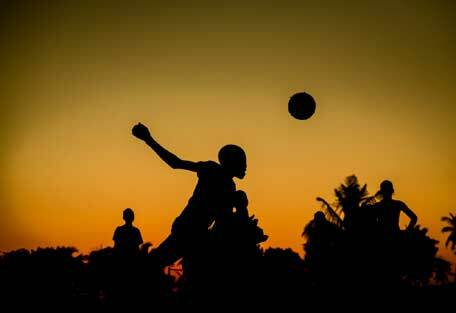 Mozambique enjoys a tropical climate with humid conditions during the summer months (December to March). Winters are mild and the evenings cool. November to March is the rainy season. Weather patterns can be unpredictable and erratic. The water temperature is perfect and visibility sharp (40 metres). Water temperatures range from 22 degrees to 29 degrees. If you are deep diving, the temperature drops to -12 degrees. The deeper you go, the colder it gets. Mozambique is a beach destination, which means your wardrobe needs to be ready for the coast. For cooler evenings around the lodge a light long sleeve top is needed. Waterproof camera if you have one - there’s plenty to see. High factor suntan lotion. UV (Ultra Violet light) index can get high. Medical : Travel insurance is a must - this is a remote location. Visa : Visas may be required, please check with your embassy. Malaria : Mozambique is a Malaria area. Please check with your local doctor about preventative measures. 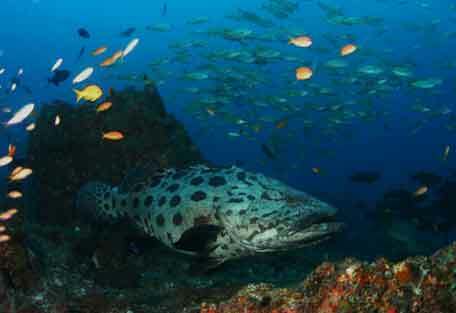 The azure waters of Mozambique offer the perfect habitat for a wealth of marine species. 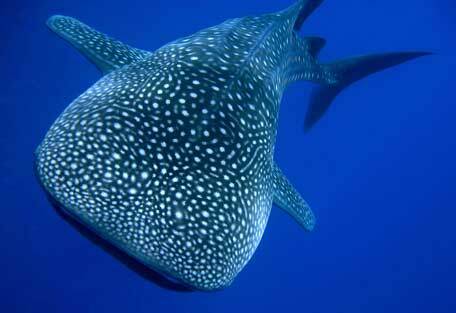 The Inhambane coastline boasts high concentrations of whale sharks, humpback whales, turtles and manta rays. Spot bottlenose dolphin, eels, rays, barracuda and maybe even the rare dugong while you’re diving through crystal clear waters laden with coral reefs. Bays, lagoons and open waters offer ample habitats to explore. If you’re passionate about whales then you’ll be pleased to know that whale season is from June - September. 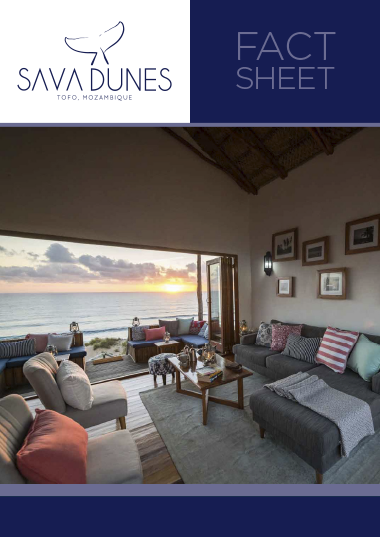 Expect a beach holiday in sublime surrounds, endless sunsets, remote locations and with ocean activities in warm waters.